Book Talk Tuesday: Where’d You Go, Bernadette? Another recommendation from a friend: Where’d You Go, Bernadette? by Maria Semple. Primarily epistolary in composition, Where’d You Go, Bernadette? is an engaging and complex look at families, Seattle, the Microsoft ethos, genius and intelligence, and mistaken impressions. The book begins with a series of emails from Bernadette Fox to her virtual assistant and between her neighbor Audrey and Audrey’s friend, Soo-Lin. Audrey, Soo-Lin, and Bernadette are also mothers of students at a local private school. Bernadette’s daughter, Bee, also has a voice in the book. Bernadette doesn’t handle life very well. She manages to mostly keep it together but when Bee asks for a trip to Antarctica as her eighth grade graduation gift, the prospect of the southern hemisphere cruise proves more than Bernadette can handle. Bee’s father, Elgin, is a Microsoft employee working on the most revolutionary technology of this generation. Bernadette hates Seattle, Microsoft, and Canadians and Semple isn’t afraid to let Bernadette speak her mind. It makes for a funny and poignant story. It’s hard to review this one without giving away too much. Many of the reviews and praise and blurbs mention that the book is an examination of familial dysfunction. Bee and her family are no more dysfunctional than many families today. Yes, they’re all geniuses of one sort or another, but frankly every family has its issues. In an engaging and entertaining book, Semple manages to skewer Seattle, helicopter parenting, Microsoft, the glorification of victimhood, and the foibles of extraordinary people trying to survive in an ordinary world. The ending is satisfactory, in spite of one hanging loose thread. I loved this one and highly recommend it! It’s my pleasure today to shine the spotlight on Sharon Jenkins and her new book Authorpreneurship. 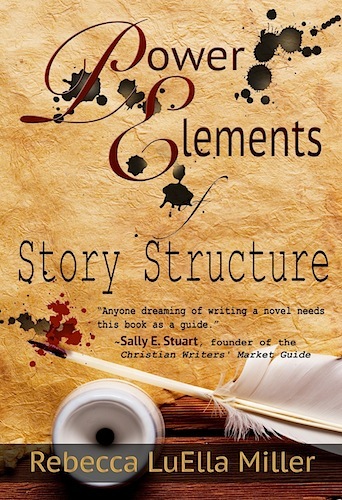 This is another book that belongs in every serious writer’s toolkit. Jenkins has broken down the steps to success for both fiction and nonfiction writers, self-published, traditionally published, or small press published. Take control of your writing career! What does it take to become a successful author in today’s publishing world? It’s not enough to write a powerful book – today’s author must understand and leverage the business side of writing. Authorpreneurship by Sharon Jenkins takes the aspiring writer from curiosity to career, combining both sides of publishing – author and entrepreneur – to empower writers with direction, publishing options, marketing solutions and business savvy to grow their career. Strategic and easy marketing secrets – online and off! And resources to help you apply what you learn! From Carrie: I’ve read the book. It’s easy to read and digest. Each section has steps to help you implement the principles taught. There are checklists and worksheets and thought-provoking questions. This book alone will replace several others on my shelf that I won’t need anymore. Well done, Ms Jenkins. Well done, indeed. Sharon C. Jenkins is a literary project manager, author, motivational speaker and visionary who serves as the Inspirational Principal for The Master Communicator’s Writing Services. Formerly the managing editor of four electronic and print journals (business, community, health and wellness, faith-based) for one of the largest African American marketing and communications companies in Houston, she has also written articles in various national and local publications. These include Yahoo Shine, Diva Toolbox, Beauty Come Forth Magazine, Gospel Truth, d-mars.com, Houston Black Book and Small Business Today. Jenkins is also the best-selling Amazon author of Beyond the Closet Door and has co-authored two other books, Songs of Three Sisters and Ready, Set, Succeed: Making Your Dream Come True. Known as the Master Communicator, because she is proficient in communicating in multiple forms of media: radio, newspapers, magazines, and spoken word, her prevailing mission is to equip authors to live their literary dreams without emptying their bank accounts. She started this undertaking four years ago with the Desire to Inspire Workshops, which progressed to the 2010 – 2013 Authors Networking Summit, which were hosted in Houston and Detroit. Thanks to Sharon Jenkins and My Book Therapy for allowing me to host Sharon today! Disclaimer: I received a free .pdf file of this book in return for helping to spread the word! Authorpreneurship an excellent resource for writers and I highly recommend it. In my current Bible reading, I’m in Job. In fact, I’m in the middle of Job’s laments that he did nothing to deserve the troubles he’s suffered. A young mom at our church passed away last weekend. 33 years old. She’d fought leukemia three times over the last twelve years. She married, had two children, taught in a public school classroom and in the church’s Sunday School rooms. My grand-daughters have been in her class when they visit. Her parents have been good friends for nearly fifteen years now. She was responding to the treatment for the third leukemia recurrence, but then she got pneumonia and she was gone. I talked with a mutual friend after hearing the news of Mackenzie’s death. My friend confessed to being angry with God. Mackenzie fought so hard and so long and she had a loving family. How could God take her? A few of the more honest souls at church the next day echoed that thought to me. And I have to agree. We’re angry. And not just angry, but angry at God. At first it seems a bit like tilting at windmills. Futile. In vain. Useless. 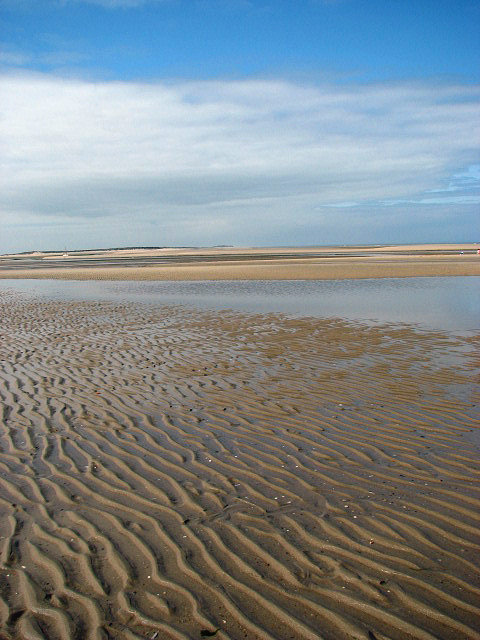 But with every word of recrimination I’ve uttered to God, a little bit of the anger has receded. It’s definitely not gone, but it’s perhaps lessened a minuscule bit. I have no idea why God would take Mackenzie when he did. Or why He takes anyone before they’ve lived a good long life, read all the books they wanted to, kissed their loved ones, fell asleep and woke in Glory. But I do know that God is Good. He is Sovereign. And I have to trust in that. I’ve heard it said that I don’t have to know what God is doing, I just have to know that He knows. In this instant though, I have to confess, I’m not quite there. I trust that I will be. Eventually. I know that God knows my anger and it’s safe with Him. I can tell Him how I feel about this. 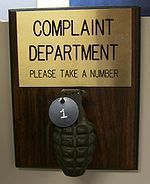 As Anne Lamott says, I can file a brief with the Complaint Department (and believe me, I have and will again!). But in the end I have to trust that He knows what He’s doing. And it has to be enough. In the end, it will be enough. My husband received Lit! A Christian Guide to Reading Books by Tony Reinke at a men’s conference nearly two years ago. He read it and passed it on to me because I’m a Christian and a reader, as well as a writer. He thought I would find the book interesting and instructive. 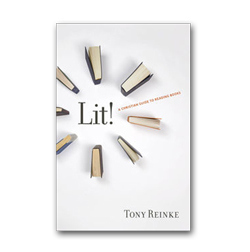 Reinke’s book is fairly short but full of insight about the place of books in the lives of all people, both believers and non-believers alike. He lays a foundation with the first section, A Theology of Books and Reading. He addresses the history of books, how Scripture and the Gospel are the standard, and how our worldview shapes what we receive and discard in our reading. The second section is more practical with notes on why and how to mark in our books, tips for reading quickly or slowly, and the types of books to read. I’m glad Reinke didn’t dismiss all fiction and non-Christian literature. He maintains that there is wisdom to be found in secular books, especially the older classics. I used to be a reader who savored books and words and ideas. As I’ve been reading (and writing) more, I’m sad to say that I often read as a consumer, counting the pages until the end and I can check off that title. Reinke encourages his readers to slow down, to read with more deliberation and more discernment, to choose carefully, and to allow the books to be digested. If you’re a believer who needs permission to read fiction or non-Christian books, pick up a copy of Lit! and read it first. If you’re a consumer reader (like me, I confess), you’ll also profit from the admonition and instruction in how to slow and let good books inform your life and being. I had the pleasure and privilege of meeting Becky Miller at the Mt. Hermon Christian Writer’s Conference several years ago. We’ve stayed in touch via social media and mutual friends. A few weeks ago I had the opportunity to preview Becky’s newest book, a how-to for writers. She’s taken teaching posts from her editing blog and compiled them into one easy-to-use manual. I love it! Each chapter (or lesson) is clearly explained with examples. Yesterday I got an email from a longtime friend about what she should do with something she’s written. I recommended several websites and books she could look at and this book was at the top of the list! I was so pleased to be able to recommend Becky’s instruction to someone with a story and a dream. 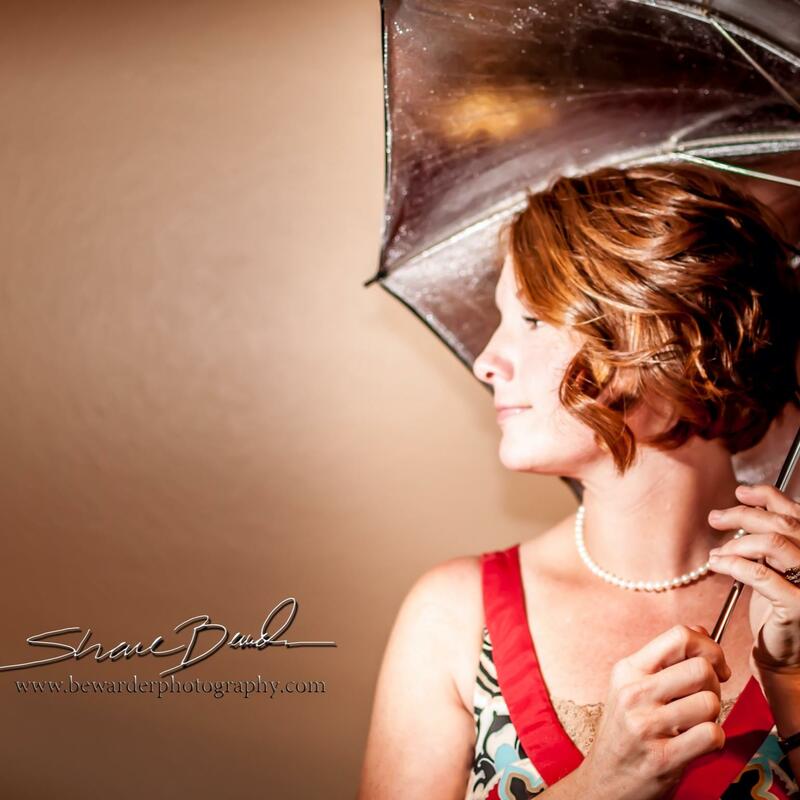 Congratulations, Rebecca LuElla Miller! This book is a keeper! Beth Moore is a popular Bible Study teacher and writer. I’ve done many of her studies and am always impressed with the breadth of her research and the depth of her observations. Feathers From My Nest is a collection of essays written when her children were first leaving home for college and the real world. It’s gentle and warm and has some good thoughts for moms of young adults to hold on to. A bit older in Beth’s library is Things Pondered. It’s a collection of short selections interspersed with poems reflecting on God’s sovereignty, His plans, and our lives as believers. Both books were excellent without being demanding or needing in depth study. I enjoyed both. I stocked up on some of the free Kindle deals so I’ll be spending more time with Beth in the coming weeks. I don’t really make New Year’s Resolutions, but I do often find a verse or a word and try to live out the spirit of it. So far this year though, I’m only hearing crickets. The last two years my word was fearless. I don’t know that I’m more or less fearful than I was in 2012 but having that word at the edge of my consciousness did help a few times when I was faced with uncomfortable situations. And I get the sense that I’m about as fearless now as I’ll ever be. So, it’s time to focus on something else I want to be better at. I need to be intentional about it. It’s the vague goals that I fail to meet. So, time to take a day or two, pray, read and think. Do you make New Year’s Resolutions? What are they?